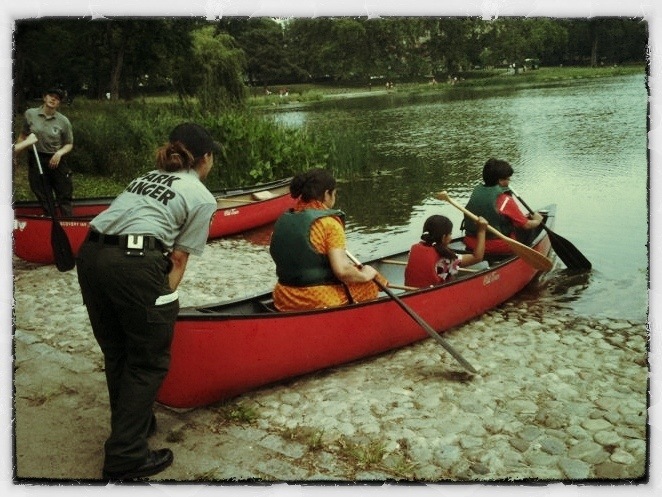 Harlem Meer | HarlemGal Inc.
We have another Fall weekend in Harlem where there are fun things to do! On Saturday, October 22, Urban Garden Center in East Harlem is holding their Annual Fall Festival. It starts at noon and runs to 4 p.m. with plenty of activities for friends, family and kids! Head on over to 116th Street and Park Avenue this coming Saturday! Also on Saturday is La Colmenita! The Children’s Theater of Cuba will be performing in Harlem at the Harriet Tubman Learning Center, located at 250 West 127th Street. The show starts at 3 p.m. It is a rare U.S. appearance and its happening right here in our community. Learn more about La Colmenita by clicking here. 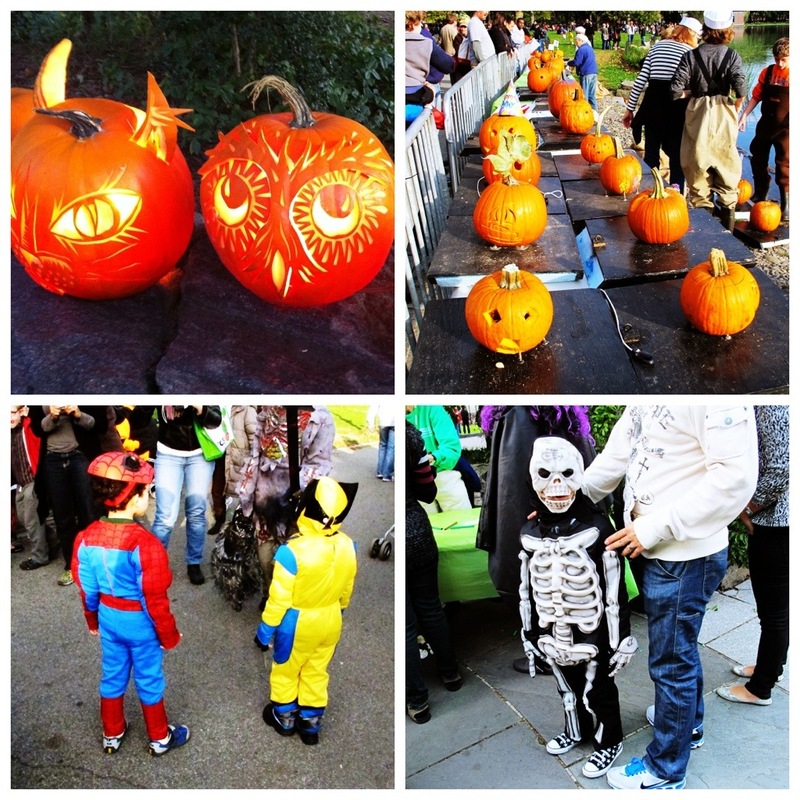 On Sunday, October 23, the Central Park Conservancy continues their tradition with its Annual Halloween Parade and Pumpkin Sail at the Dana Discovery Center at Harlem Meer (inside Central Park on 110th Street between Fifth and Lenox Avenues). This event starts at 4 p.m. and wearing a Halloween costume for kids is highly encouraged. Participants can also bring a carved pumpkin so that it can be a part of the pumpkin sail! And that’s what’s happening in Harlem this weekend…all for FREE! On August 11, from 6:30 p.m. to 8:00 p.m., locals have the opportunity to meet the musicians during Harlem Meer Social Hour, a Central Park Conservancy & Jazzmobile Collaboration. East Harlem native, percussionist Steven Kroon and West Harlem resident, trombonist Craig Harris will discuss their creative process, presence and influence of other cultures in their music. So come out and meet the musicians who create beautiful music at the Dana Discovery Center, located inside Central Park at 110th Street between Lenox and 5th Avenue. Broadway comes to Harlem today! An array of Broadway’s Rising Stars singing music form the great oldies, to current smash hits will be at Harlem Meer this afternoon starting at 2 p.m. Broadway at Harlem Meer will benefit The Union Settlement Association, Manhattan HIV Network for children with HIV and AIDS. Take the 2/3 subway train to 110th Street at Central Park North or jump on the 6 to 110th Street and walk west to Central Park! There are two other nice Harlem holiday events happening this weekend in addition to the Made in Harlem event we told you about early in the week. On Sunday, December 5, from 3-5 PM bier international will be having St. Nikolaus visit so that kids can have an opportunity to meet him and have their stocking stuffed with a treat. According to bier, the tradition of St. Nikolaus Day, usually on December 6, is a festival for children in many European countries. It finds its roots in legends dating back to the year 346 when Nikolaos of Myra, a saint and Greek Bishop was reputed to hand out gifts secretly. He became the model for Santa Claus whose English name derives from the Dutch Sinterklaas. It’s a European tradition that can be enjoyed universally by kids of all nationalities. In addition, the annual Victorian Holiday Lighting will be taking place at Harlem Meer on Sunday, December 5 from 3-5 PM as well. The event culminates with the lighting of thousands of tiny LED lights strung along the architectural features of Central Park’s northernmost visitor center, the Victorian-style Charles A. Dana Discovery Center. A camera is highly recommended for this event. So there is plenty to see and do on December 5. Hope everyone’s holiday season is off to a good start! Tagged Central Park North, Halloween, Halloween Parade, Harlem, Harlem Meer, Photos by HarlemGal, Pumpkin Sail.